Welcome to Pet Central! 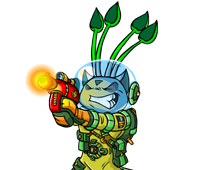 You can do just about anything Neopet-related from here, and a load of other things, too! 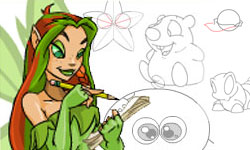 Learn How To Draw all of your favourite Neopets, Petpets, faeries and more! To discover the true history of Neopia, look no further. Fact seekers always welcomed! There are many competitions to enter to show off your art, writing, HTML or other skills. For a list of all our available competitions and to learn more about our competitions in general, click here! The Word of the Day is randomly chosen from suggestions submitted by Neopians. Click here to suggest a new word! Why Create a Neopet when you can give a poor, abandoned Neopet a great home?! Visit the Neopian Pound today, but make sure to stay away from that Dr. Death character. Are you proud of your Neopet? Share a picture with a friend! Not sure how to pronounce something? We'll help you out! Great for any occasion... or just to say, "I'm thinking of you!" Did a faerie drop by unexpectedly and ask you for an item? Yeah, they do that. It's always a close race, but only one species can claim first place! If you're curious about all the different Neopet species, look no further! There are way too many Petpets to count... but you can try if you like! Tell your friends about Neopets! Please! We're not ashamed of begging.